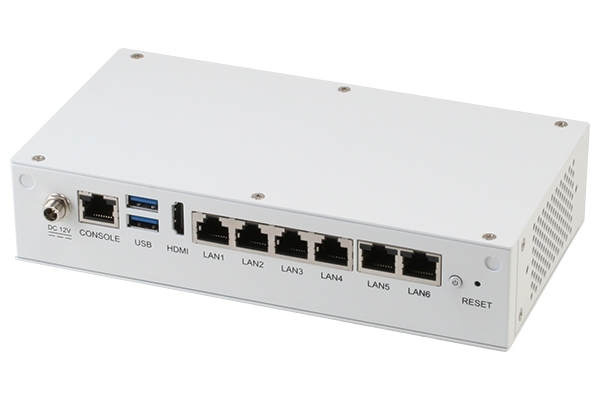 The FWS-2271 is an affordable, high-performance Network Appliance designed to address the needs of home offices, small and medium businesses, and branch offices. The SIB-U3115 system is a refreshingly new idea. Essentially an ultra compact PC standard that we want to be the future of computing. The SIB-U3115 is designed with the latest Intel SOC which has lower power consumption but with higher CPU performance. The benefit for customer in SIB-U3115 is quiet operation and wide temperature system and is open to a large range of applications and markets. SIB-U3115 target market is generated in the digital signage, media-center PCs, as well as all-in-ones, and Intelligent vending machine. At present the mini-pc market has boomed with ARM-powered Android based machines. If you are a windows user, then it’s good news for you because SIB-U3115 small system is based on the shelf Intel components and is capable of running Linux or Windows. The EB-3330 & 3332 series is a revolutionary device which is especially designed for limited physical space and temperature concerns. No matter you are in a jammed office, a crowded place, or public transportation, the EB-3330 & 3332 can be easily integrated with a VESA LCD to bring it to access at any time. The DIN PC-333x Series is an innovative device that provides a perfect balance between performance and energy efficiency. The DIN PC-333x is Fanless designed with wide operating temperature range of up to 50°C, making it suitable in warehouse and factory environments. The low power design is ideal for M2M, IOT and Industrial Automation applications where constant on operations are required. 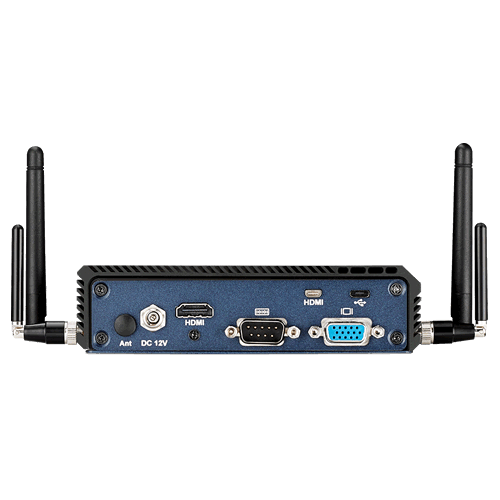 The DIN PC-333x Series features DMP ultra low power 933MHz Vortex86DX2 CPU, Onboard 1GB / 2GB DDR2 RAM, two independent Ethernet, and various I/O ports. Supported operating systems such as Microsoft Windows Embedded and Linux OS, users can integrate applications easily with a platform that provides versatile functions to fulfill diverse requirements. 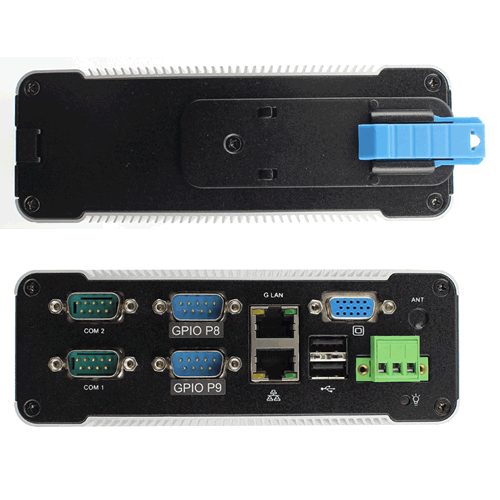 With compact dimensions of 152 x 104 x 54 mm (W x H x D), the DIN PC-333x Series fits in small control boxes, as well as directly in a machine or the machine stand. With DIN rail form factor, it supports DIN rail in top hat rail section EN 50022 version. 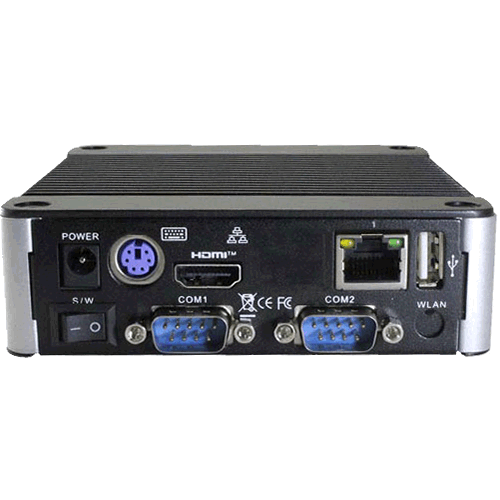 All DIN PC-333x Series’ interfaces are on the front side, so it can be cabled up easily. The DIN PC-333x Series is an ideal choice for embedded controllers used in IOT, Machine to Machine "M2M" and for other industrial automation applications. While multiple the network connections makes it easy to setup an IOT gateway on existing platforms, while adding the optional WIFI can extend the gateway to connect to newer devices.